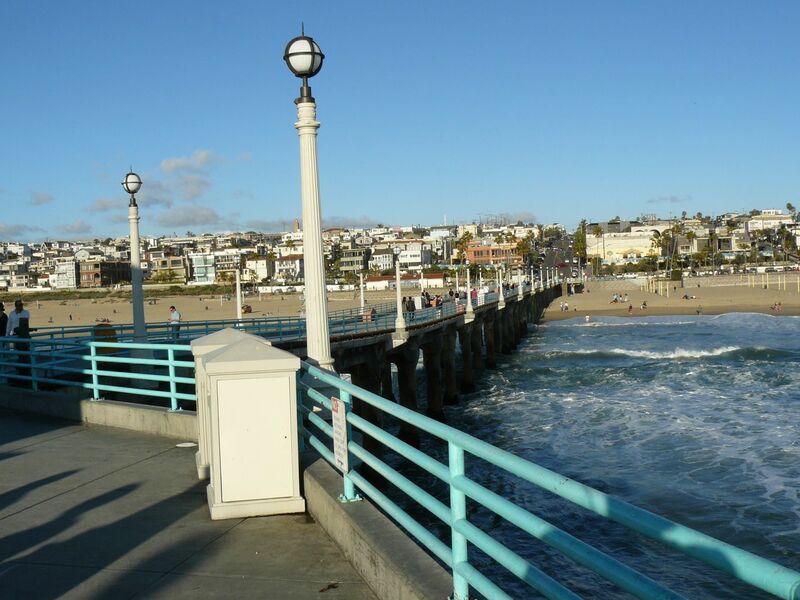 Visualize driving down Manhattan Beach Drive; the San Francisco-style (it’s steep) street that serves as the approach to this pier. 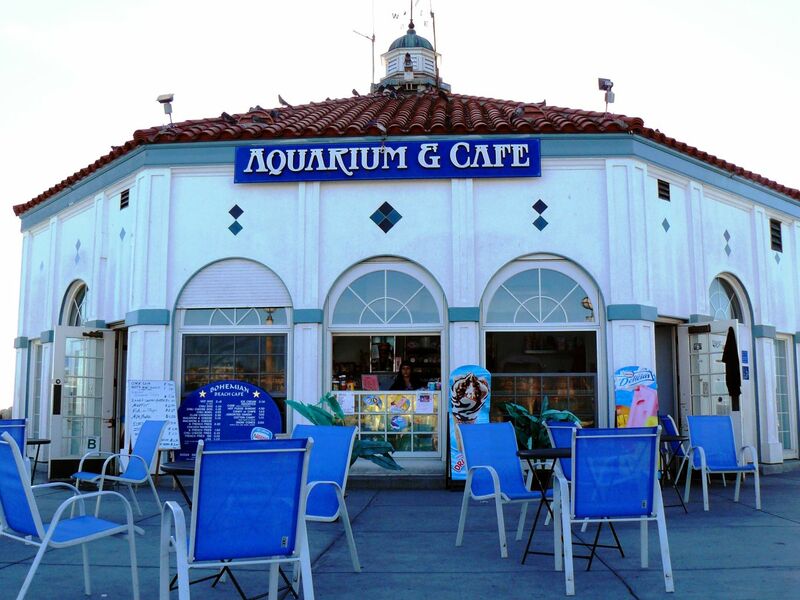 There sits an old looking pier with an odd, octagonal, Mediterranean-style building out at the end; a building which houses the Round-House Marine Studies Lab and displays several different aquariums, including one for sharks and one for lobsters. . As you draw near, you notice its stylish aqua-marine colored railings and cool astrolabe-like light fixtures. the World Famous Kettle Restaurant has been a fixture here for over 40 years. With a great outdoor patio and awesome menus it is “the” place to eat.